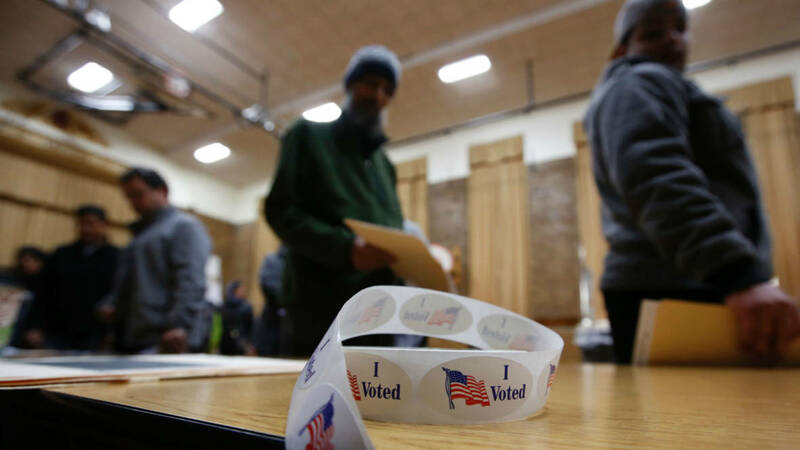 This November voters will get to choose the person who will head the largest consumer protection agency in California — a department that regulates the state's $310 billion insurance industry, the fourth largest in the world. The insurance commissioner may not be the most popular position up for grabs this fall. It's a down-ballot race that doesn't get the kind of media attention that falls on the competition for governor or U.S. senator. But the job is incredibly important: It oversees the state agency that enforces insurance laws and investigates health care fraud. "Who sits in the chair of the insurance commissioner determines how much Californians will have someone who has their back against large insurance companies," said Thad Kousser, a professor of political science at UC San Diego. The California Department of Insurance regulates 1,300 insurance companies and licenses more than 400,000 agents, brokers, adjusters and others. In recent years the current commissioner, Dave Jones, who will be termed out, has had a key role in advocating for homeowners seeking insurance for natural disasters like wildfires and earthquakes. For instance, last year's wildfires in the North Bay led to $9 billion in residential and commercial claims in insured losses. Jones was behind a legislative push earlier this year aimed at helping wildfire survivors. The insurance industry ultimately defeated most of the provisions in that effort that would have increased transparency in the industry and strengthened the regulatory power of the commissioner's office. However, a joint legislative committee hearing scheduled for Tuesday is set to take up theses issues — insurance availability, under-insurance and wildfire risk. 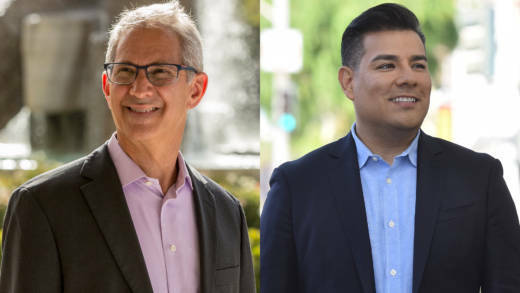 The two top candidates vying for the job to oversee an agency of nearly 1,400 employees are Democratic state Senator Ricardo Lara of Los Angeles, the first openly gay person of color to serve in the state Senate and one of the Legislature's leading proponents of single-payer health care, and tech entrepreneur Steve Poizner, an independent who held the position as a Republican from 2007 to 2011, and whose name is known statewide. They both say the position is imperative for consumer protection and never more essential than now, as the state is increasingly ravaged by massive wildfires. "Every decision made by the insurance commissioner ripples around the state, the country and the world," Poizner said in an interview with KQED's Forum on Oct. 3. "The state's on fire" and needs to prepare for more destructive blazes in the future, said 61-year-old Poizner of Los Gatos. If California doesn't work to mitigate wildfire risk, Poizner said, there will be a "huge homeowners insurance crisis." More large and destructive wildfires could lead to large spikes in homeowners' insurance premiums and companies that provide the coverage could bail out of the market, according to Poizner. "I dealt with these issues before," he said. "I've walked through the rubble of people's homes hundreds of times. Helping them get back up on their feet is something that really motivates me to serve a second term." Lara says he's spent his entire legislative career being a strong consumer advocate. The 43-year-old Democrat has pushed for single-payer health care coverage, a proposal that has yet to gain enough steam in Sacramento. "For me the access to health care is very personal," Lara, a son of immigrants, said. "In our most richest state in the country, people still go without health care, our most vulnerable, our working Californians," he said on Forum. Under legislation he authored, California provides health care coverage to all of the state's undocumented immigrant children. "I've been in the trenches with these legislators, both Republicans and Democrats," Lara said. In the wake of the "October Fire Siege," he proposed legislation aimed at protecting homeowners from getting kicked off their insurance policies. "These fires are unprecedented," Lara said. "We've worked together to ensure that we protect our consumers and protect the victims of these fires. Lara says he will represent all Californians, and he's painting Poizner as an advocate for industry. Poizner, who's racked up a significant number of newspaper endorsements, says his experience, background in technology and independence make him the stronger candidate. "There's really no room for partisan politics at the Department of Insurance," Poizner said. When Poizner ran and lost for governor in 2010 he had some controversial stances he says he now regrets. He said then he would block undocumented immigrants from receiving "taxpayer benefits," called for the California National Guard to deploy to the U.S.-Mexico border and argued that public schools should refuse to enroll undocumented children. Lara has used Poizner's own words in his campaign ads. "Looking back now, I would do it differently. I would come to different conclusions and I do regret coming to those conclusions," Poizner said. "My position today is that everyone who's in California, who's undocumented, should get on a path to get documented," he said. If he wins, Poizner could become the first non-Democrat in years to hold statewide office. "In the eyes of the Republican establishment, Steve Poizner is Republican in independent clothing," Kousser said. Poizner "recognizes that the national Republican brand absolutely prevents you from winning statewide office in California," Kousser said. Poizner wants voters to see him more as an old-school California Republican, more like Arnold Schwarzenegger than President Trump, Kousser said. Poizner is leading the race for political donations, with close to $3 million. His biggest contributions have come from himself. Private equity firms, real estate interests and wineries are among his other big donors, according to an analysis of data from the California Secretary of State's office by MapLight, a nonprofit that follows money in politics. Lara has raised around $2 million mainly from the California Democratic Party and from labor unions, MapLight found. He's been criticized for being too close to labor. But he says he doesn't have any regrets on his ties to unions. "I'm proud to stand with the working men and women of California and will continue to fight for fair wages," Lara said. Lara is part of a new wave of progressive Democrats in the state, more aligned with Lt. Gov. Gavin Newsom than Gov. Jerry Brown, according to Kousser. Lara says the state needs a full universal health care system especially at a time when the Trump administration is trying to tear down Obamacare. "To some people that makes him a progressive champion, to others that makes him a tax-and-spend liberal," Kousser said. Poizner says Lara's failure to pass single-payer health care was a good thing. "Thank goodness his own colleagues stopped it in the Assembly," Poizner said. "There was no means for paying for it." He is so opposed to single-player, it's part of his platform on his campaign website. "It's a super ill-conceived plan that would make things worse," Poizner said.